On average, Canadians have over $20,000 in consumer debt. That means that most of us here, reading this, are in debt in some way or another and looking to become debt free. Owing money seems to be the default in 2017. It’s no wonder though because it seems like the more time passes, the more ways we find to get buried in debt. The best way to avoid falling into serious debt is to understand where the risks are. 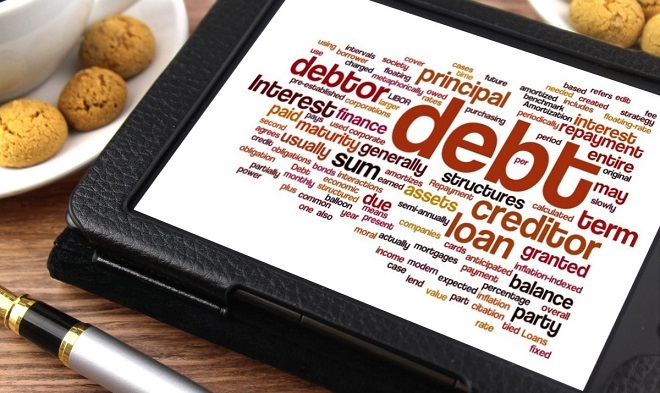 There are many ways that people find themselves in debt, but understanding the most common ways is going to help you steer clear of them and live debt free. This isn’t always something we can control or avoid, but understanding that it is the most common way people find themselves in debt can lead you to take precautions. No matter how secure you feel like your job is, you can never foresee the future. This is the number one reason why having an emergency fund of at least 3 months expenses is key to your financial security. In the event you have an accident or illness that could cause you to be unable to work, or if you are laid off, fired, or your job just becomes obsolete, you’re going to need to be prepared. You'll be able to get through it relatively unscathed if you have an emergency fund behind you. So many of us are struggling with student loan debt, but it’s not the end of the world. You can get out from under it, especially if you follow the advice we posted recently - check it out, make your plan and stick to it no matter what, and you, too, can defeat student loan debt and live debt free. As we discussed recently in our post about the differences between common law unions and legal marriage, divorce is seriously expensive and can often lead to complete financial ruin. Ways to avoid this risk are to sign a prenuptial agreement, don’t fight the inevitable just because you’re stubborn, compromise, be careful who you marry, or just simply avoid marriage altogether. No one gets married thinking that in just a few short years, they’ll be divorcing each other, and yet it still happens. There is no way to be sure that your relationship won’t end in divorce. Take caution, be prepared and most importantly, be reasonable. While we are luckier than most here in Canada in that we have universal healthcare, there are some services that are not covered and can run us quite the bill. You can also run into trouble if you fall ill while on vacation or abroad without coverage. The best way to avoid medical related debt, is to purchase travel health insurance when you leave the country - especially if you’re planning to visit the USA. Overspending, living beyond our means, not saving and other bad habits all often lead to debt. There is no easy fix for this one, it requires willpower and discipline. Budgeting, saving and sacrifice are all required to build a secure financial future and live debt free, no matter how much you make. When you don’t understand how your money works or how to build credit properly, it doesn’t matter how hard you try, you’ll feel like you’re running on the spot. There are plenty of money myths around that can lead hardworking people astray. You can fight this by working with your own financial advisor, or, less expensively, you can make use of the Refresh Financial F.I.T. (Financial Intelligence Training) program, which is free for all Refresh Financial clients. If you’re living paycheck to paycheck, using a lot of credit and seem to just sink further and further into debt, you’re living outside of your means. Or in other words, your life costs more money than you’re bringing in. This is where sacrifice comes in - if you sacrifice some of the comforts you’ve become used to, and suffer now, financial security can come later. Downsizing your life and budgeting your money is a great place to start to avoid this road to debt. Saving money serves many purposes. It can rescue you in a money emergency, it can grow to become the down payment on a house, but most importantly, it can help you avoid having to use credit when unforeseen expenses arise. Using credit this way leads to debt we often struggle to break free from. Saving money regularly will help you avoid this. Convincing yourself that you’ll buy this on credit now and pay it off when you get paid next week is the beginning of a downward spiral. Spending money before you have it doesn’t take into account forgetfulness or unforeseen expenses which could come up before you have a chance to pay back what you spent the week before. Before the next week rolls around, you might not have enough to meet all of your expenses and have to “borrow” from future money again and again and again, leading to debt you can’t get out of. It’s easy to look to credit as the solution for most of what you need, but if you find yourself seeking a new loan or a new credit card to enable yourself to “afford” something you want, you’re likely abusing your credit and headed towards needing credit repair. You’re going to find yourself in significant debt in no time. The key with credit, is not to spend it unless you can afford to pay it back. There are many avenues to debt but these are, by far, the most common ways to accumulate debt in Canada. Most of us are guilty of one or a few of these. Luckily, there are companies that help with credit repair using a secured savings loan like Refresh Financial. If you want to learn more about how Refresh Financial's secured savings loan can help you with credit repair, click here. A secured savings loan doesn't eliminate the need for you to avoid these missteps listed above, but it will certainly help you recover from them. If you've found yourself in debt, struggling to get out, and a credit score that is too low to get you approved for any more loans, contact Refresh Financial. We can help rebuild your credit score with no credit checks and no money upfront! A better credit score means access to lower interest rate loans.